Fred Clements: Will bike shops serve the changing market? One of the most important metrics for bike shop success is store traffic. Living and breathing visitors are a necessary part of the retail business model for brick-and-mortar stores. Without them, retailers would be left trying to sell bikes to air, and that is very hard to do. Getting people into the store is becoming a greater challenge, though. New research shows that consumer traffic at bike shops is declining across the board. While this is distressing news at first glance, there are also clear opportunities to reverse the trend. Cycling participation is a big topic in the bicycle trade. The idea that "a rising tide (of participation) lifts all boats" is a great theory and gives direction and hope for the future. But when the tide refuses to rise, the quest for individual company growth can lead to all sorts of tension. Fred Clements: Is trashing Amazon the next big thing? Anti-technology pundits have been around for a long time, but there is increasing negative coverage related specifically to one company, Amazon.com, with strident criticism of its business practices, its ethics and its impact on society at large. Allowing remote online retailers to skirt their obligation to collect sales taxes gives these companies a significant competitive advantage over brick-and-mortar businesses. Bike shops are an integral part of the cycling infrastructure. 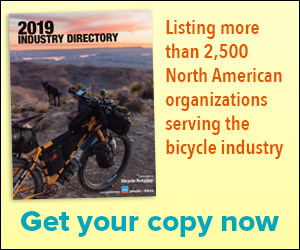 Many successful bicycle retailers have interesting origin stories, but very few openly lay out their operating philosophies and strategies for the rest of the world to see. An exception is Chris Zane, owner of Zane’s Cycles in Branford, Connecticut. A look at retailers' legal obligations regarding recalled products. Last week's recall of 125,000 bicycles for defective forks was bad news for everyone. But many shop owners are expressing dismay at what they say is inadequate reimbursement being offered by the manufacturers for this huge and important effort. In his new book, Donny Perry offers an energetic and creative take on the world of bike shops, their continuing efforts to survive, and their prospects for the future. While adult cycling seems to be relatively stable, cycling continues to lose young participants at an alarming rate. Entitlement can be a disastrous thing for retailers facing increasing competition and struggling to compete.